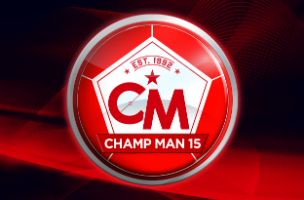 Champ Man 15 is free-to-play, and asks players to choose their country, league and ultimate team they wish to manage. Only a selection of teams can be accessed immediately for free. Others require a “Coaching Badge,” which can be purchased instantly with real money, or earned by leveling up over time. While playing, gamers can focus on new tactical options, including the ability to set the focus of passing, set the type and frequency of crossing, the overall intensity of their team’s offense and more. The game’s commentary system has been updated for greater variety and more realism, and new training options are available to create the best team possible. That is, players can choose areas to fine-tune on both the player or team-wide level. Champ Man 15 is available to download for free on iOS, and is currently in development for Android. The game will be updated going forward to keep player information accurate over time, among other updates.